The Pebble Watch and the Pebble Steel are out in front of the current smartwatch and wearable technology revolution. Pebble’s overwhelming Kickstarter success and early market lead have resulted in relative early-adopter saturation and a strong base of app developers. This is why, in spite of its lackluster technical specs, Pebble finds itself in the #1 spot on our list of best smart watches. Pebble was not the first smartwatch to market, but it was the first to achieve true commercial success … and it did so before it even shipped its first watch. Pebble sought venture capital via online crowdfunding portal Kickstarter, hoping for $100,000 in presale commitments to get the ball rolling. That goal was blown through in a matter of hours, ultimately realizing more than 68,000 watches presold for over $10,000,000 in funding … AMAZING! The Pebble Watch and Pebble Steel possess the same internal components, with the Steel sporting a more sophisticated case and band. Pebble smart watches are designed to function independently, but also act as an extension of the user’s smartphone providing message alerts and app interaction. It is in this smartwatch/smartphone interoperability that a synergy is created and the Pebble really shines. Leading version 1.0 of the wearable tech market, Pebble Watch and Pebble Steel are currently the crowd favorites. The Pebble Watch has a MSRP of $149 and the more sophisticated looking Pebble Steel is priced at $249. Quite reasonable prices for cutting edge wearable technology. The Pebble Watch And Pebble Steel run the proprietary Pebble OS. However, Pebble smart watches are compatible with both iOS and Android based smartphones. The Pebble App Store can be downloaded for FREE from the Apple App Store and from Google Play. The Pebble Watch And Pebble Steel are currently running firmware version 2.0.1 which was released on February 11, 2014. Software is downloaded to the Pebble Watch and Pebble Steel using the Pebble App Store app which is available for both iOS and Android. 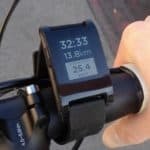 Pebble Watch Pedometer is a new fitness tracking app coded by Jathusan Thiruchelvanathan that provides Pebble Watch wearers with an onboard, independent pedometer. A very simple app to use, Pedometer tracks only one category of data, the number of steps taken, and then calculates the corresponding calories burned. And, surprisingly, the exercise tracking data provided by Pebble Pedometer turns out to be quite useful and fairly accurate. No Pebble Watch And Pebble Steel How To articles have yet been written. The Pebble Steel Smartwatch was just announced at CES 2014. 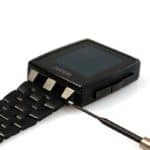 Sporting the some old e-paper display, a small ROM bump from 4MB to 8MB, and a dated looking steel case and band, there doesn’t seem to be much justifying the price bump to $249. On a positive note for app developers, since the internals remain unchanged in the Pebble Steel, everything you coded for the original Pebble smartwatch will work on the new model. The Pebble Smartwatch just received another significant price drop and is now available for only $119 on Amazon. Having taken Kickstarter early adopters by storm at a MSRP of $149, the Pebble Smartwatch was selling for $199 on Amazon just two months ago, dropped back down to the original MSRP of $149 in the beginning of December, and has now undercut just about all smartwatches currently available. Pebble Smartwatch has just announced a Black Friday deal. If you purchase a Pebble Smartwatch today or tomorrow (November 28th-29th) you will receive a 15% discount, or a total price of $130 versus the regular $150. Although not a huge savings, this is the first discount we have seen on what is presently the most popular smartwatch available. 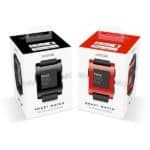 The Pebble Smartwatch has departed the public venture capital site Kickstarter and arrived at mainstream sales portal Best Buy. 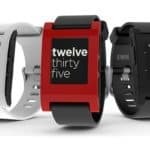 Having crushed sales records on the popular niche crowdfunding site, Pebble is now setting its sights on the average consumer and hoping to continue its dominance of the emerging smartwatch market. Crowdfunding star, Pebble, just got an exciting new feature added to its popular smartwatch: home automation. 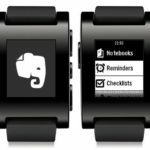 Enrico, of new programming blog Makr.co, has managed to put the freshly released Pebble smartwatch SDK through its paces and has squeezed out an alpha version of one of the first truly useful open source apps for the smartwatch. The app is tentatively called SmartHomeWatch. 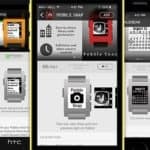 Pebble Technology, makers of the Pebble Smartwatch, just announced the impending release of a new developer SDK. Unfortunately, in addition to the sad state of firmware and software already available, it appears that the upcoming SDK is also only an alpha release. 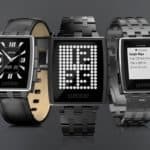 Still, as Pebble is undoubtedly the most popular smartwatch currently available, this release should energize the bustling early-adopter crowd.